I’ve been pretty slack on the breakfast front lately, and have been alternating between a protein smoothie and yoghurt and granola. Both are delicious and high in protein but well, it was all getting a bit samey. Overnight oats are such a favourite of mine as I can chuck it all together the night before and breakfast is there and waiting for me in the morning. 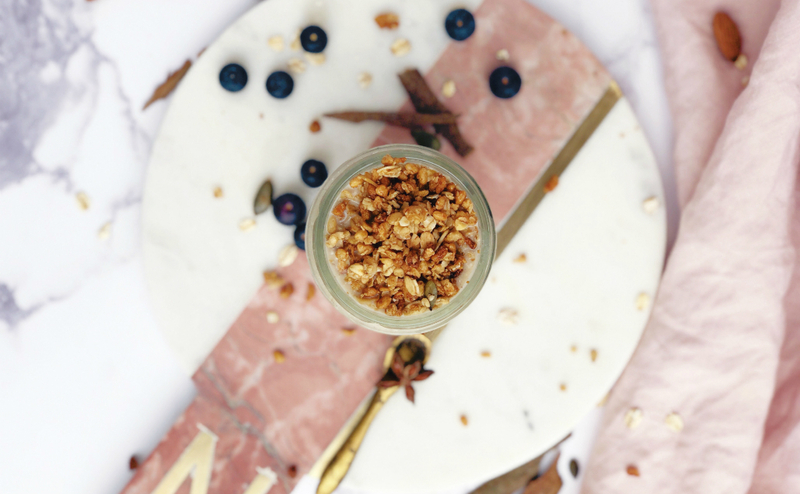 This vanilla protein overnight oats is a new addition to my repertoire but it’s definitely one I’ll be adding to the breakfast rota. Mix all the ingredients together (I use a big Tupperware container or Kilner jar), cover and refrigerate overnight. In the morning, add milk/water to loosen. Top with berries/almonds/granola/whatever you fancy. That’s the beauty of overnight oats. They are just so versatile and you can mix and match depending on what you fancy! For more overnight oat ideas see here and here! Top 10 weight loss tips - Why are we so fat?